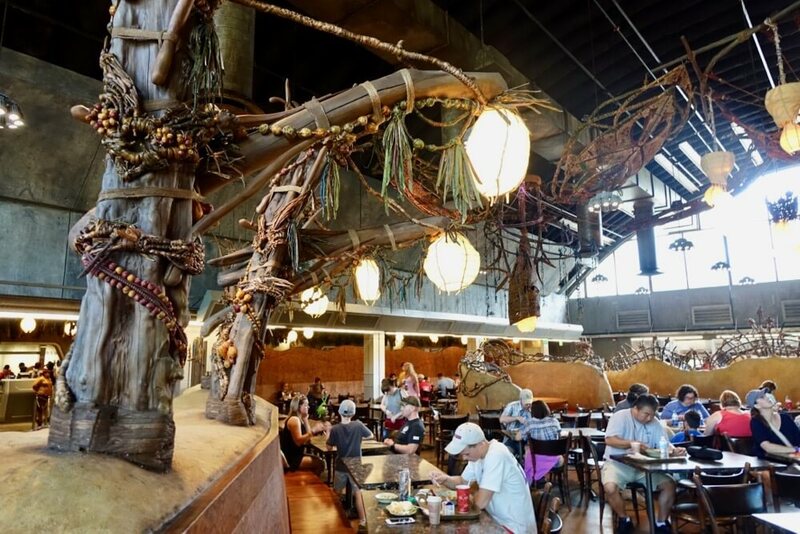 FROG EDITOR'S NOTE - This is a fully updated post of our original guide to Pandora—The World of Avatar based on our visits after the official opening. Kaltxì, interplanetary adventurers! There's no doubt that you're here because you're preparing to travel across the stars to visit Pandora — The World of Avatar at Disney's Animal Kingdom. Our frog family has hopped over to Pandora for some extensive research and exploration. This is a land full of adventure, nature and beauty that is sure to draw visitors who are looking to experience the wondrous world of the Na'vi. 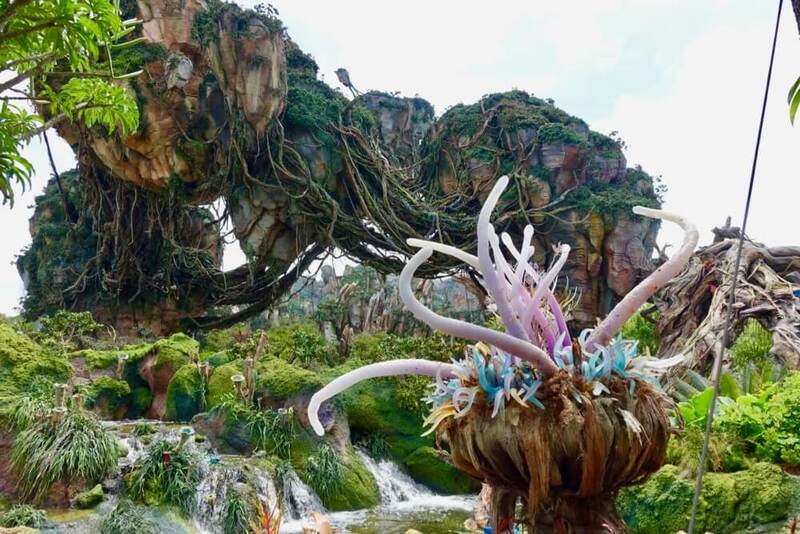 This guide to Pandora The World of Avatar will give you an overview, detailed look at its attractions, entertainment and shopping, frogtastic photos as well as an FAQ. Oel ngati kameie! Since there's a lot to cover here, we've placed another popular topic into a separate post. 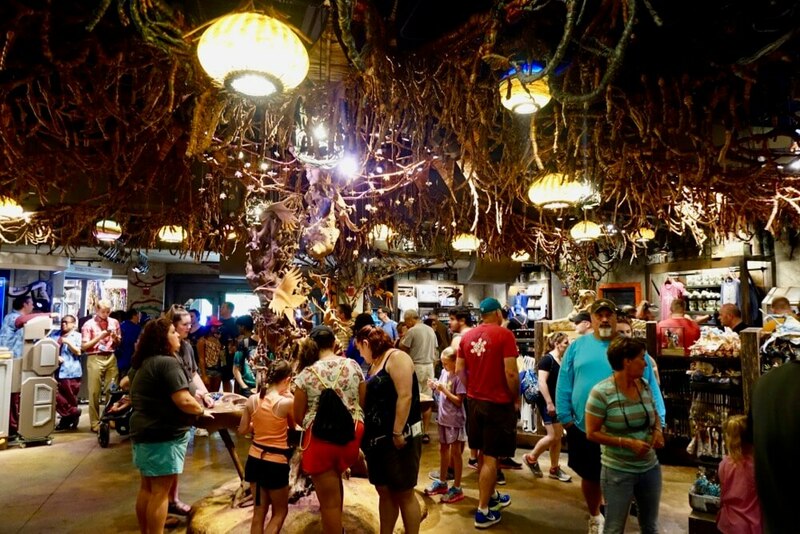 Hop here for Pandora World of Avatar FastPass+ Strategies and Tips. Pandora—The World of Avatar is inspired by the 2009 film "Avatar" by director James Cameron. In the film, soldiers from Earth travel to Pandora and are linked into Avatars, large creatures that resemble the planet's native inhabitants, the Na'vi. Guests visit Pandora at Disney's Animal Kingdom with the help of ACE, Alpha Centauri Expeditions. This group acts as your host and eco-friendly tour guide for the wonders of Pandora. ACE has created experiences that will let you fly on the back of a banshee and sample local food and drink. Check out the ACE website at Visit Pandora to learn more about this company's backstory. For years, Disney's Animal Kingdom has been generally been thought of as a half-day park. 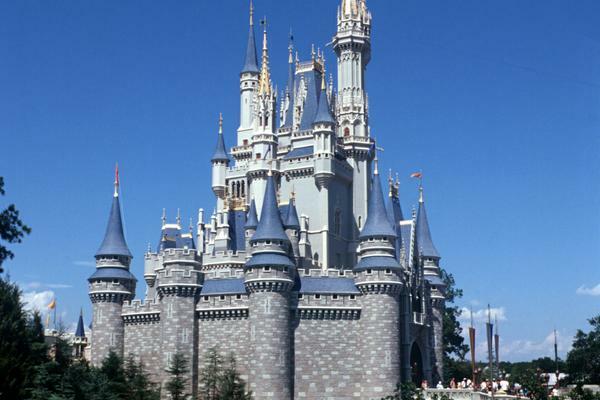 This was not necessarily due to its smaller number of attractions and shows, but rather its shorter hours. When Animal Kingdom closed, guests would either head back to the hotels or Disney Springs, or they would hop to another park. 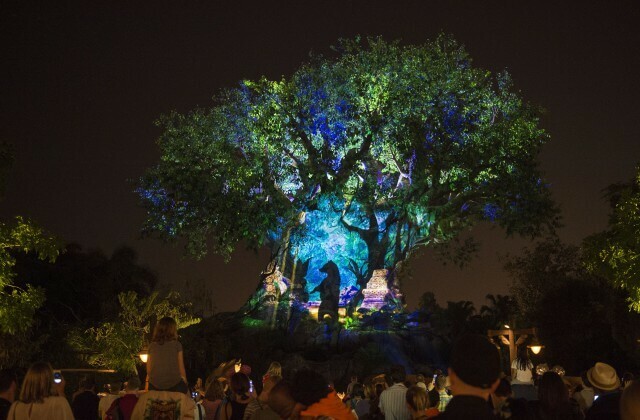 Recently, Disney's Animal Kingdom has been adding nighttime activities. Rivers of Light—a nighttime show performed on the park's expansive river—Tree of Life Awakening—a magical lighting of the park's iconic tree—and even a "sunset" experience to Kilimanjaro Safaris have kept the park open after dark. 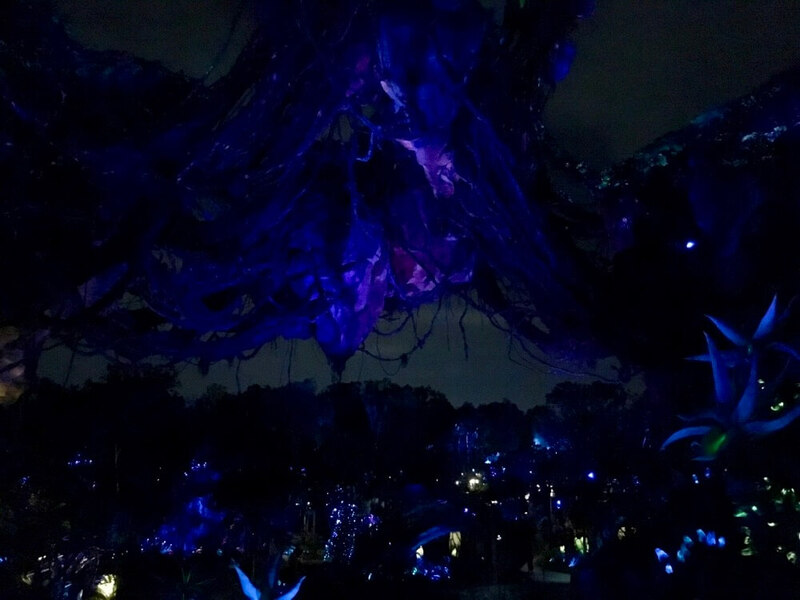 Pandora's bioluminescence flora is another nighttime addition. 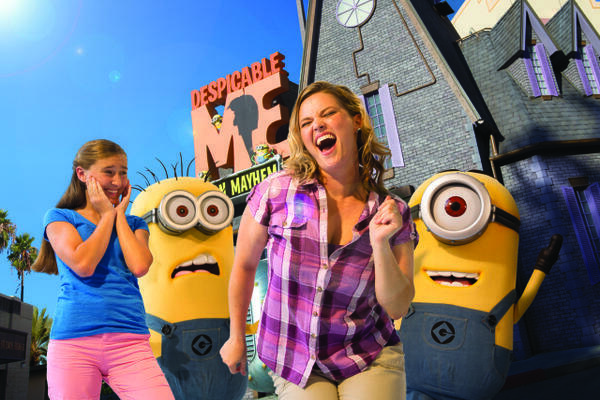 With four theme parks now offering some kind of nighttime experience, guests will need to adjust schedules and perhaps make some different choices. Do you skip IllumiNations for a few hours to see Pandora aglow? Will you start your morning in one park and keep the tadpoles awake and fed for a nighttime hop over to Disney's Animal Kingdom? Where do you fit your planned evening entertaining at Disney Springs? There are decisions to be made! 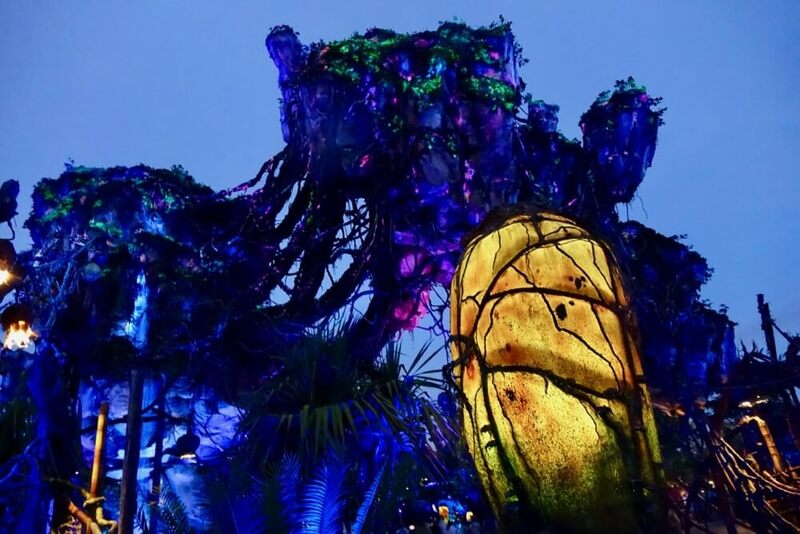 How Does Pandora Connect to Disney's Animal Kingdom? Disney's Animal Kingdom was designed to showcase and illustrate man's relationship with nature. The theme of the film "Avatar" also focused on man's relationship with nature. In many ways, Pandora is a fictionalized way to showcase man's relationship with nature. 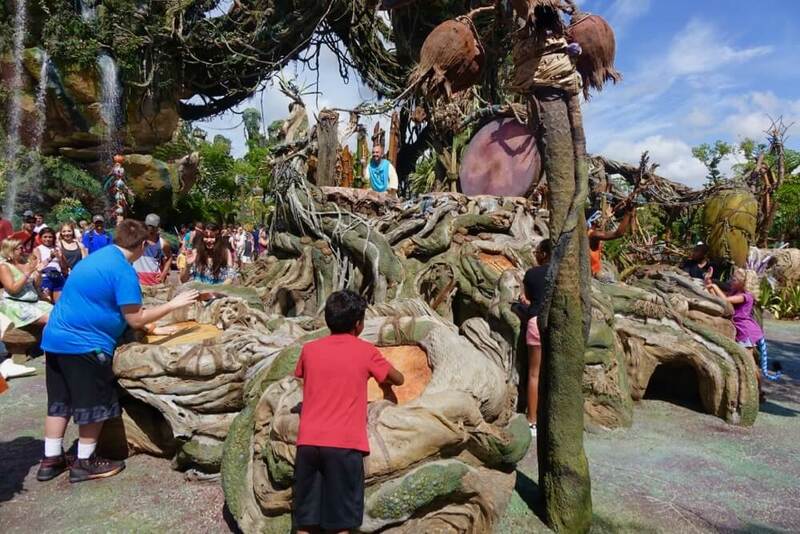 You'll see that "man living with nature" theme reinforced throughout Pandora. Inside Disney's Animal Kingdom, Pandora is located to the left of Discovery Island, the park's hub. Upon entering Animal Kingdom and heading into Discovery Island, you'll want to bear (ANIMAL JOKE) left at the Tree of Life. Hang another left at Pizzafari and follow the path toward Pandora. Or, you could simply follow the masses of people. For people who are familiar with the park, Pandora is where Camp Minnie-Minnie was located. While the above location is the main entryway into Pandora, it's not the only way in. There is a second entrance located just past Festival of the Lion King in the Africa section. This alternate entrance will take you along the park's river, which gives you a pleasant approach to Pandora. 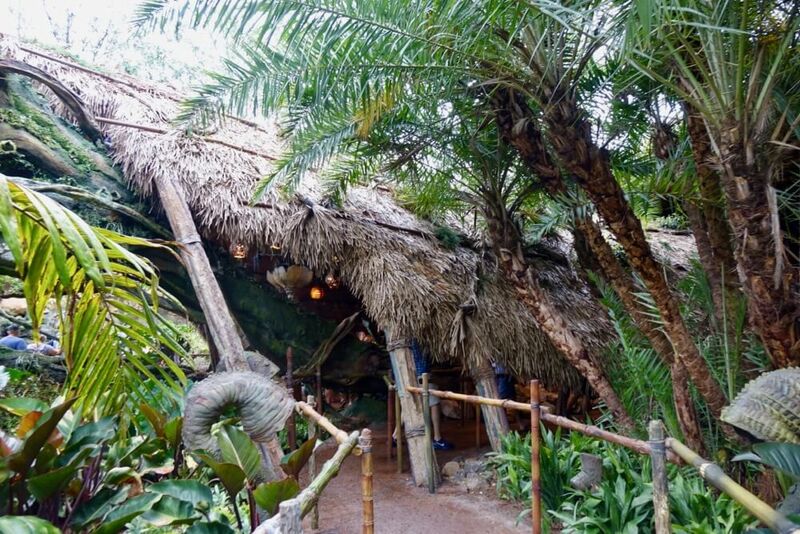 As you cross the bridge that connects Discovery Island to Pandora, you start to see, hear and feel a subtle shift. 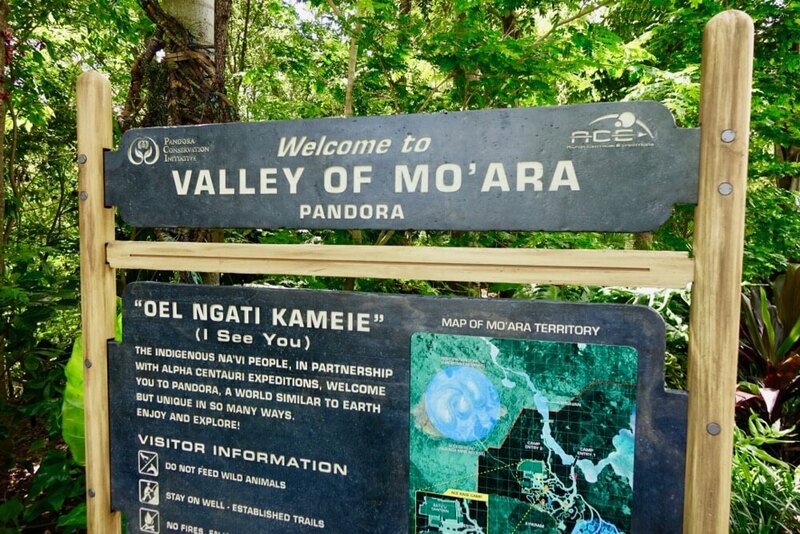 Otherworldly insect noises fill your ears, and a large ACE sign welcomes you to the Valley of Mo'ara. Look at the map and be sure to heed the signs' warnings. The first sign of otherworldly life is the giant Flasca Reclonada. While this large plant looms over the entrance, it's inviting. Step up to the plant and touch its exposed pinkish insides. The Flasca Reclonada will convey its delight with water and steam. A few steps further into the Valley of Mo'ara leads to Pandora's most amazing sight—the floating mountains. We got goosebumps as soon as we saw them. The photos don't do it justice. You simply cannot believe that they are real and floating above the valley. You need to walk underneath them to truly appreciate their size. Stand by the waterfalls on the left side for a great view. The Valley of Mo'ara is filled with pathways, bridges, seating areas and creatures—living and plant life. Keep an eye out for Vein Pods (green pod-like plants) Puffball Trees (large round trees) and the spiny-like Grinch Tree. Take your time wandering the Valley of Mo'ara. Its beauty is unlike anything you've ever seen, and the landscaping of familiar and alien plant life creates a calming sense of wonder. It ... is ... stunning. Really, that's the best way to describe the Valley of Mo'ara at night. 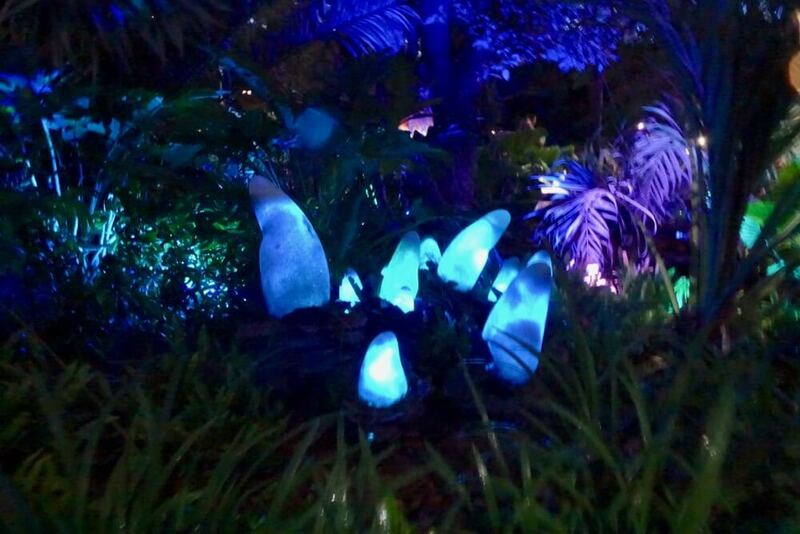 As the sun starts to set, the native alien plants slowly begin to share their bioluminescent qualities. The pathways that you walk on will also start to glow. Through its subtle lighting cues and the bioluminescent plants, Pandrora at night is a breathtaking experience. 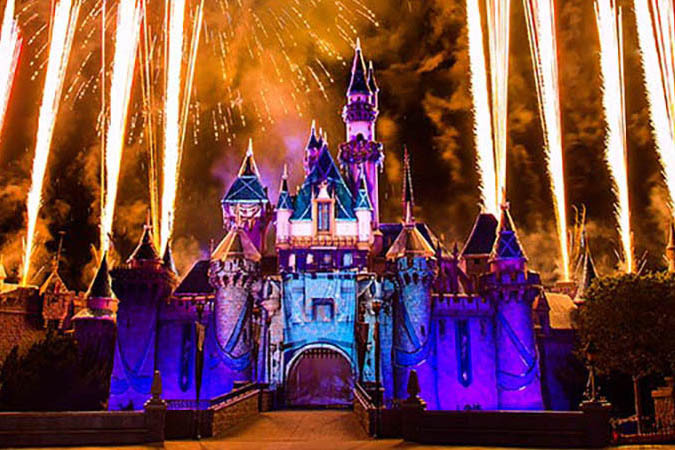 For a few more weeks, Disney has placed a temporary premium on this nighttime experience. Now through July 4, Disney resort hotel guests will have Extra Magic Hours access from 11 p.m. to 1 a.m. every night. We're big fans of staying on-site at Disney World. For those of you staying on-property during this time frame, those Extra Magic Hours are your best bet for seeing Pandora at night. 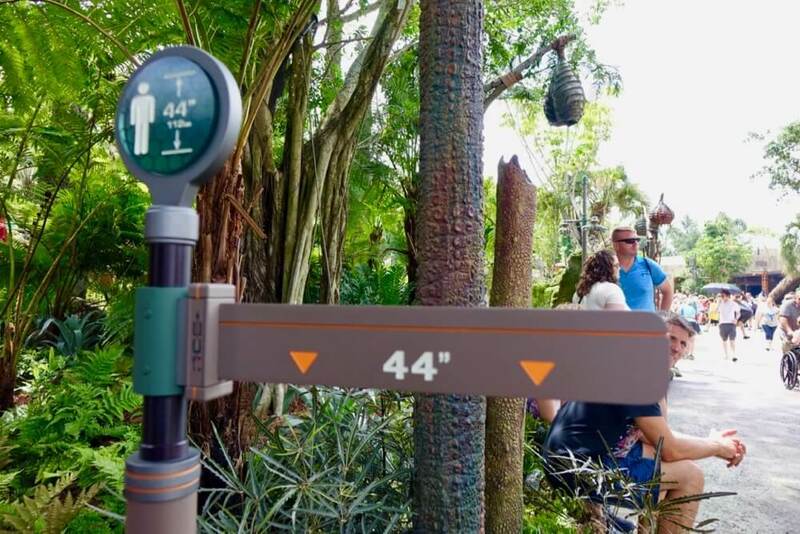 Avatar Flight of Passage - Pandora's headlining ride has been drawing long lines since opening. That makes sense, as it is truly a one-of-a-kind ride you have to see to believe. While there is a rush to get a FastPass+ reservations, we strongly encourage you to go Standby on your first visit to experience the full queue. 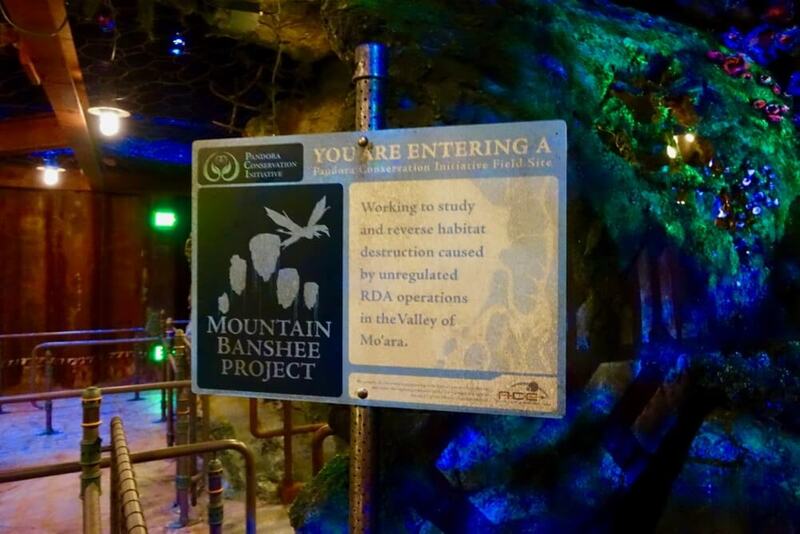 The story of Flight of Passage is that visitors will be linked to avatars in order to participate in a Na'vi rite of passage—flying on a banshee. The standby queue for Avatar Flight of Passage is an attraction unto itself. After climbing over a bridge and into the mountains, you find yourself in a cave. Cave paintings depicting the early days of flight with Na'vi and banshee surround you. They tell the story of the harmonious balance of Na'vi and banshee. Turning from the cave, you find yourself in an RDA facility, literally blasted into the side of the cave. The RDA is a military group that arrived on Pandora and ruined the natural balance. Long since departed, the facility has been reused by ACE as the headquarters for the Mountain Banshee Project. You'll wind your way into an active ACE research lab, complete with working experiments and a life-size Avatar inside a tank. After wandering through the base you'll find your way to the Linking Chambers, where a video will give you a little backstory on Pandora, the Na'vi conflicts with the RDA, and information on the Banshee Conservation Initiative. In this room, you'll be linked to your avatar. The next room features a video on loading instructions, and you'll receive your 3-D glasses as well. After the pre-show, you're lead into the Linking Chambers, where you'll sit on bicycle-style seats. An ACE team member will apply restraints, one to your back, and one on each leg. We're not going to spoil the experience, only to say that it's a next-generation version of Soarin'. It may trigger some motion sickness. Your Link Chair does move around, but not in an aggressive Star Tours-like fashion. 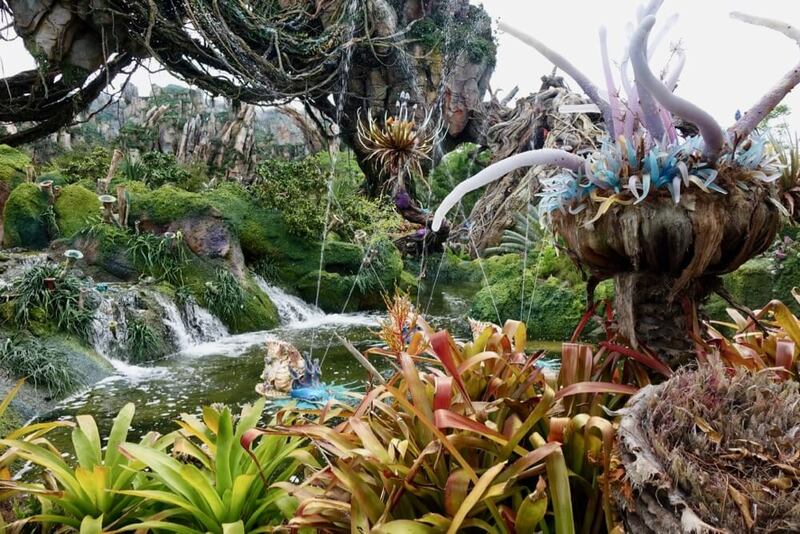 It is truly a breathtaking journey over Pandora and may leave you crying at the end. In a good way. For the next year, we can see standby lines for this reaching 120 minutes as a norm. 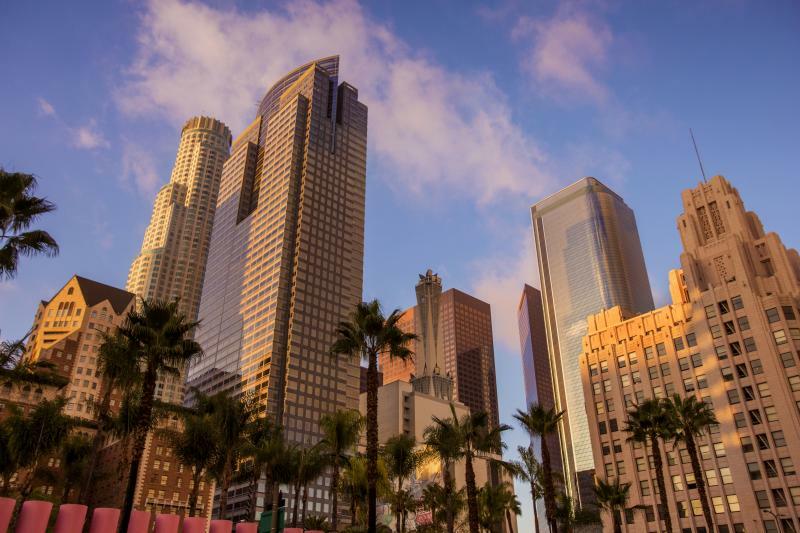 Make it your first stop or last one during your visit. Note: If you use FastPass+, you will miss the majority of queue elements, including the lab and Avatar in the tank. Again, on your first visit, we recommend Standby. Na'vi River Journey - Pandora's other ride is just as beautiful as Avatar Flight of Passage, but for different reasons. While Flight of Passage takes you into the sky, the Nav'vi River journey sends along a river through a bioluminescent rain forest. Your journey starts in the forest before wandering into a large native structure, resembling a hut or shelter. You are surrounded by intricately woven designs, some on the ceiling, others on the ground. Making your way into a cave, you'll board your boat. These eight-seat boats fit four per row. If you've ever boarded a Disney boat ride, you know to get on. 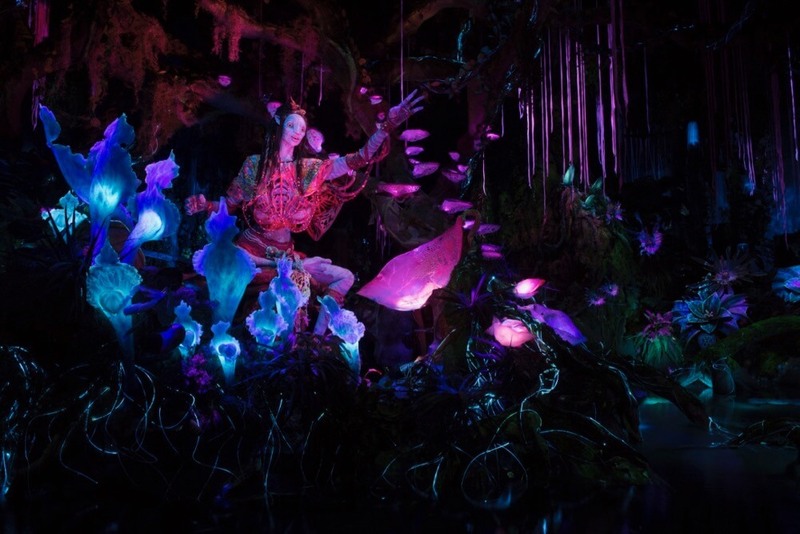 The voyage itself is a meandering a four-and-a-half-minute voyage through the bioluminescent forest of Pandora. There is no story but plenty to look at. The river is alive with plants, insects and creatures, such as the Viperwolf. 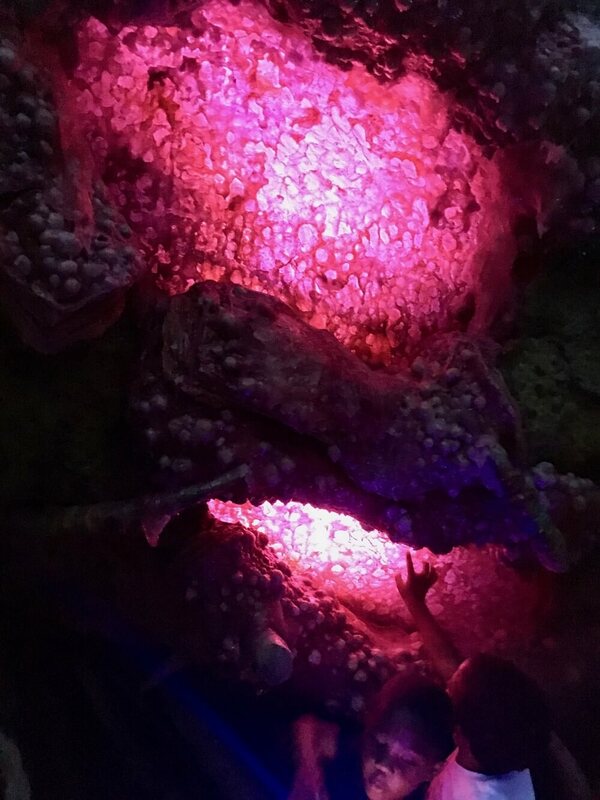 The glowing river is a wonderous site, and seeing enchanting objects in an indoor setting can be a welcome relief. Your journey's peaceful finale is an encounter with the Na'Vi Shaman of Songs. Nearly 10-foot tall, she gracefully moves and sings an enchanting song (one that will be stuck in your head for most of your day). If you'd like to sneak a peek, then Tad has footage of this attraction posted on our YouTube channel. Unlike Flight of Passage, you won't miss anything crucial if you skip the Standby line. This is a great attraction for using FastPass+, as you merge with the regular line shortly before boarding. We'd expect 60-minute wait times to be the norm for Na'vi River Journey, so plan accordingly if you don't land a FastPass+. Inside the Valley of Mo'ara guests will find a Sacred Place of Song. While guests are free to pound on the drums, this setup is the home of the Circle Drum Show. 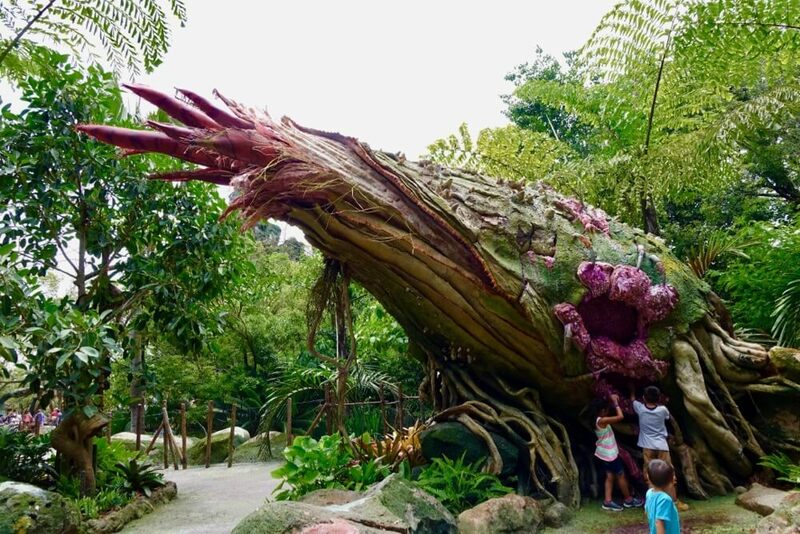 Hosted by three expats, these Pandora locals convey the powerful connection between man and nature within the land. Make the bond. As always, guests young and not-so-young are invited to participate in drumming and shaking musical instruments. This 14-minute show will definitely get you clapping, tapping and drumming. Pandora's main dining area serves dishes inspired by its nature-friendly surroundings. The area is themed as a former RDA mess hall that has been converted and overtaken by the natural surroundings. Stunning woven artwork hangs overhead, and traditional Na'vi artifacts are on display at the entryway. Lunch and dinner feature the same items. Most of the options are bowl-style dishes, with different choices of proteins, veggies and grains. Pictured here are the Cheeseburger Steamed Bio Buns, served with vegetable slaw and chips. You'll also see Blueberry Cream Cheese Mousse and Hawke's Grog Ale. There is a children's menu available, as well as one for those with food allergies. 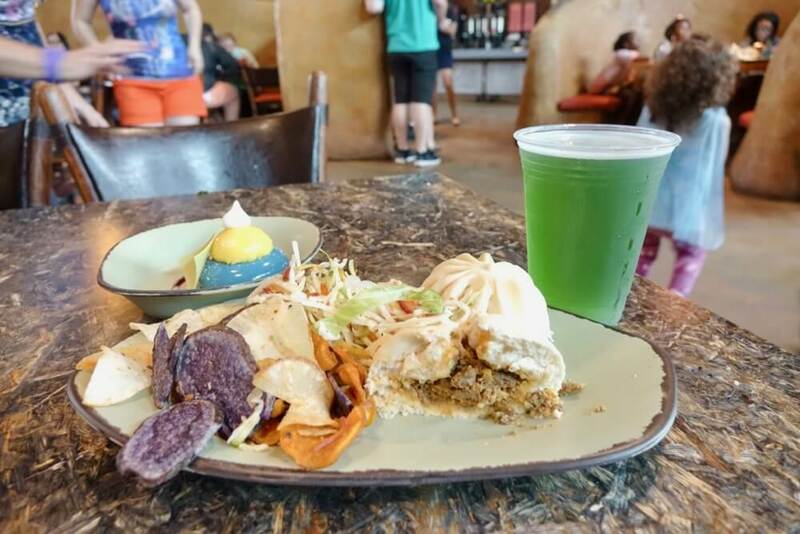 This counter-service restaurant is the first dining location at Disney World where guests have the option of utilizing mobile ordering. We tried it, and it was amazingly efficient. 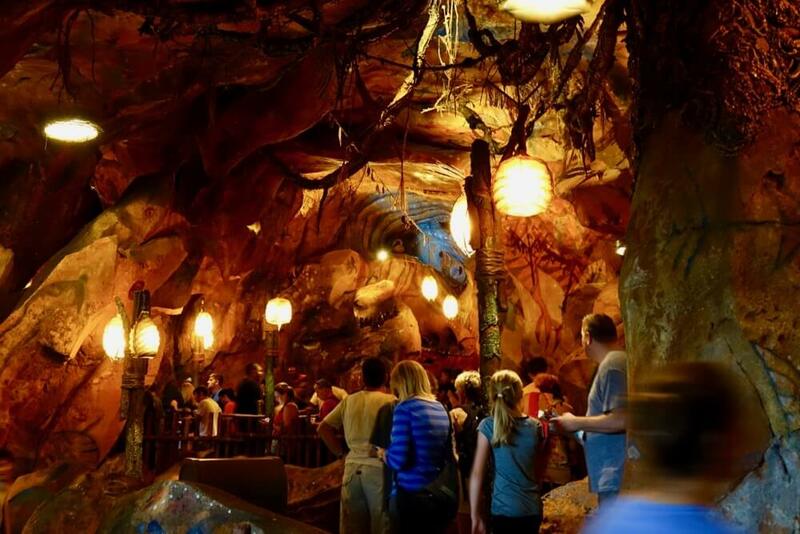 With an atmosphere that's eerily similar to that of Florida (wink wink), the residents of Pandora were smart to set up a convenient spot for drinks. 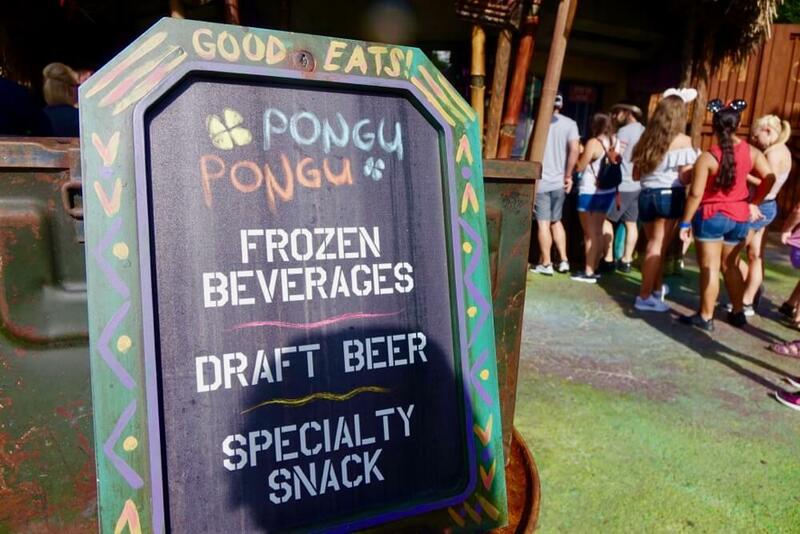 Pongu Pongu (translated to Party Party) is a beverage window that serves refreshing alcoholic and non-alcoholic drinks. 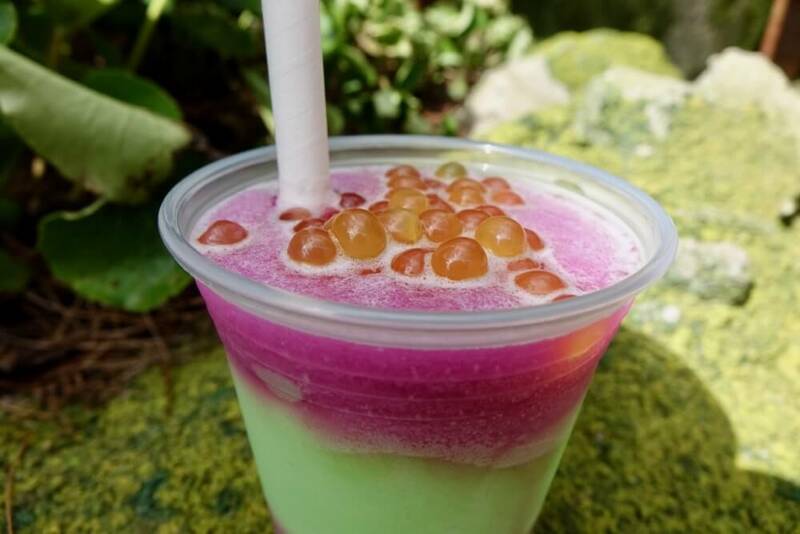 The signature non-alcoholic drink is the Night Blossom, a frozen limeade-apple drink with boba balls. Alcoholic drinks include two kinds of beers (Hawkes' Grog Ale or Mo'ara High Country Ale), wine and the Mo'ara Margarita. Pongu Pongu's signature dessert is Lumpia—an egg roll filled with pineapple cream cheese. Have plenty of napkins on hand, as the warm roll fell apart quickly after biting into it. The lone gift shop at Pandora—The World of Avatar is conveniently located at the exit of Flight of Passage. Inside you will find an assortment of Pandora-themed merchandise. The different lines of clothing allow you to tastefully or blatantly showcase that you've been there, done that and have the t-shirt. A backlight section features glow-in-the-dark items. The shop features all of the traditional theme park traditional souvenirs—hats, pins, plush—but also features three unique items. Banshee pets are small mechanical puppets that you control with a small remote. You may also build your own 10-inch Na'Vi figure and create your own Pandora necklace. 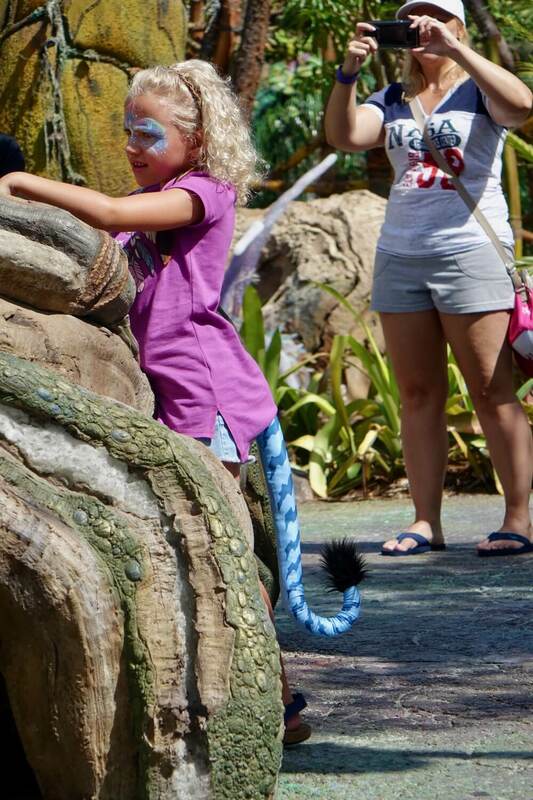 Guests who want to add some Na'Vi inspired face-painting to their look will want to visit this small kiosk near Na'vi River Journey. You will find ACE Team Members stationed all around Pandora. These eco-friendly guides are not just there to point out the restrooms—granted that is helpful information. Each ACE Team member is full of knowledge about the world around them. Not sure what that plant is? An ACE team member will not only tell you its name but explain what it does and why it's important to the Pandora ecosystem. If we hadn't struck up a conversation with an ACE Team Member, we would have missed out on a neat experience. These creatures in the above photo are the Sagittari, small octopus/squid-like animals. They hunt in a very unique way, by spraying water into the sky that stings their prey. Sure enough, with a wave of his hand, the ACE Team Member "spooked" the Sagittari, and we saw their spray kick in. Chatting with ACE Team Members are simple ways to get more involved in the Pandora story. We've already updated our Disney's Animal Kingdom park plan on the site and our Orlando planning app for iPhone to include Pandora. Check out our whole post of Pandora World of Avatar FastPass+ strategies and more tips. 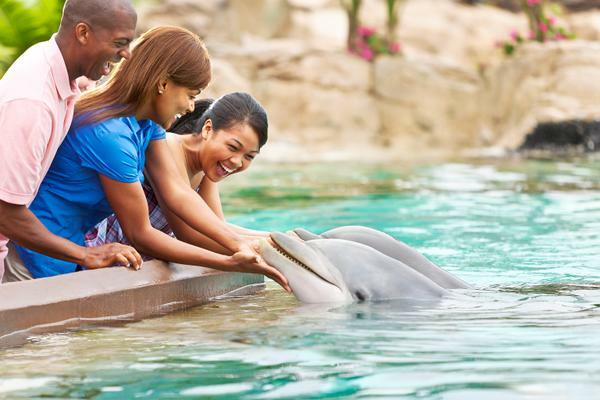 What Hotels Are Near Animal Kingdom? 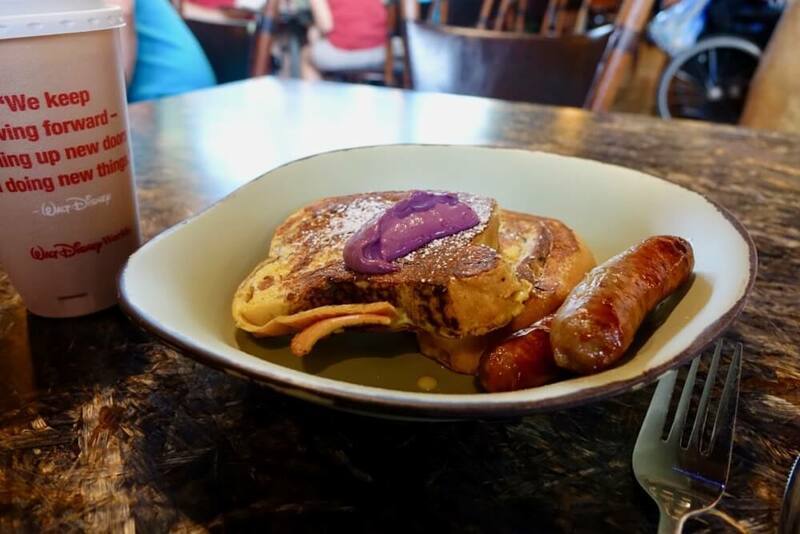 Over on our Pandora Fastpass+ strategies post, we mention taking advantage of Disney's Animal Kingdom's A.M. Extra Magic Hour. 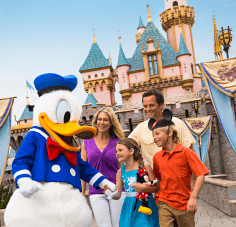 These Extra Magic Hours are only available to families staying at a Disney Resort Hotel. We did this early (as in, arriving at the park at 6:40 a.m. for a 7:00 a.m. start time) morning time. This tactic allowed us to see both Pandora attractions in less than 90 minutes. That's a huge advantage and just one of the many benefits of staying onsite. 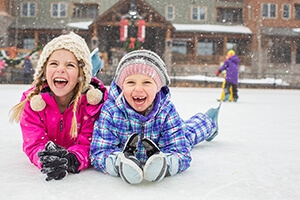 To get the full benefit of staying onsite, consider staying close by. The closest hotel is Disney's Animal Kingdom Lodge. This amazing African savannah-themed hotel is our favorite Deluxe hotel on property. In the moderate category, there is Disney's Coronado Springs Resort and its great pool. For the value category, both Disney's All-Star Sports Resort and Disney's All-Star Music Resort are close to Animal Kingdom. 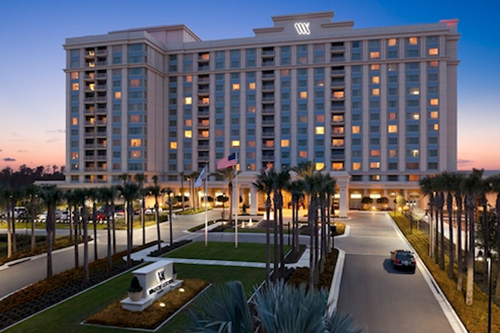 Get a look at how close every Disney Hotel is to the park with our Comparison Chart. Do You Have Discount Tickets for Pandora World of Avatar? Yep. Bring the family down to Pandora with our discount Disney World tickets. The Link Chairs can be rather restrictive for some guests. The leg and back supports do prevent movement—this is for the guest's safety. There is a test Link Chair outside of the attraction's entrance for guests to determine if they will be comfortable enough to ride it. Na'vi River Journey has no height restrictions or similar warnings. Guests must transfer from wheelchairs/EVC's to the ride vehicle. I'm Interested in Speaking the Na'Vi Language. Can I Practice at Pandora? Yes! Your ACE hosts will be able to teach you key Na'Vi words and phrases. Also, Windtraders sells a Na'Vi translator to help you further perfect your language. One set of restrooms is located just beyond the main entrance to Pandora, and another set is near Satu'li Canteen. As parents, we know this is VITAL information. Do I Need to See the Movie First? Nope. Pandora—The World of Avatar is not about the film, but the planet that is featured in that movie. 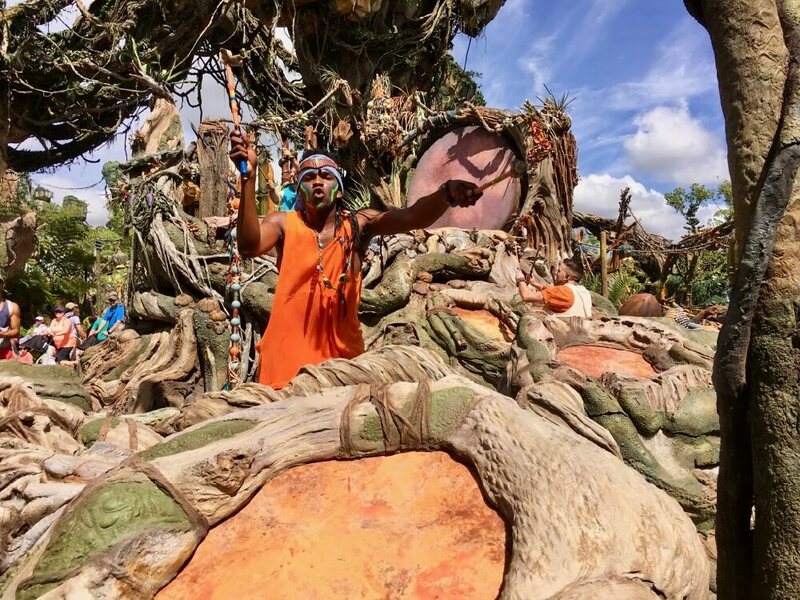 Newcomers to the "Avatar" world are given the backstory and information needed to understand what's going on through the Flight of Passage queue and preshow as well as chatting with ACE hosts. 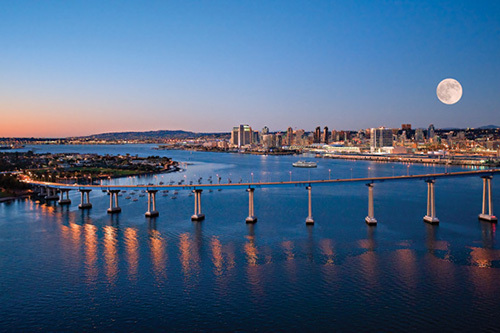 How Long Will This New Land Draw Crowds? Until the next big thing at Disney's Animal Kingdom opens. Really. This is Walt Disney Word's single biggest addition since New Fantasyland. It's safe to say crowds will be common here for many years. Toy Story Land will open next in 2018. 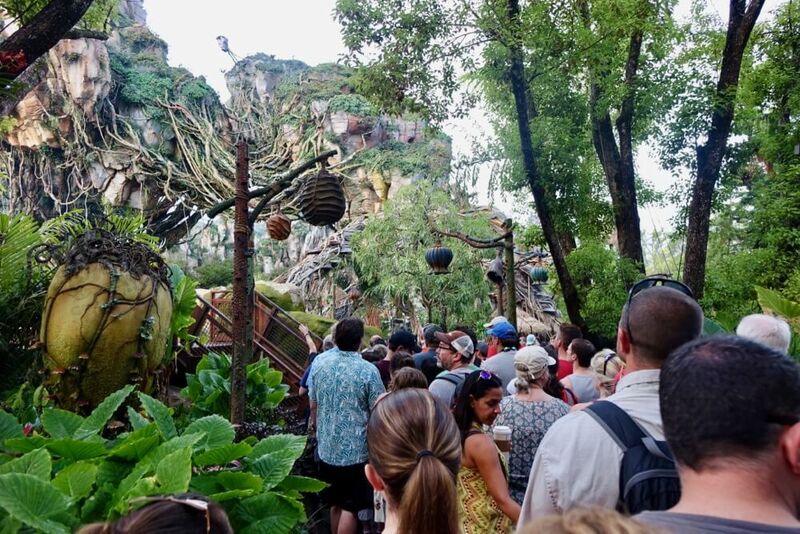 Time will tell if that new land will take away from Pandora crowds. Are you preparing to visit Pandora — The World of Avatar? What are you looking forward to the most? Will you be visiting during the Extra Magic Hours that are available exclusively to Disney World Resort hotel guests? Let us know in the comments below and share any questions you have! Are there EMH for Animal Kingdom in January 2019? 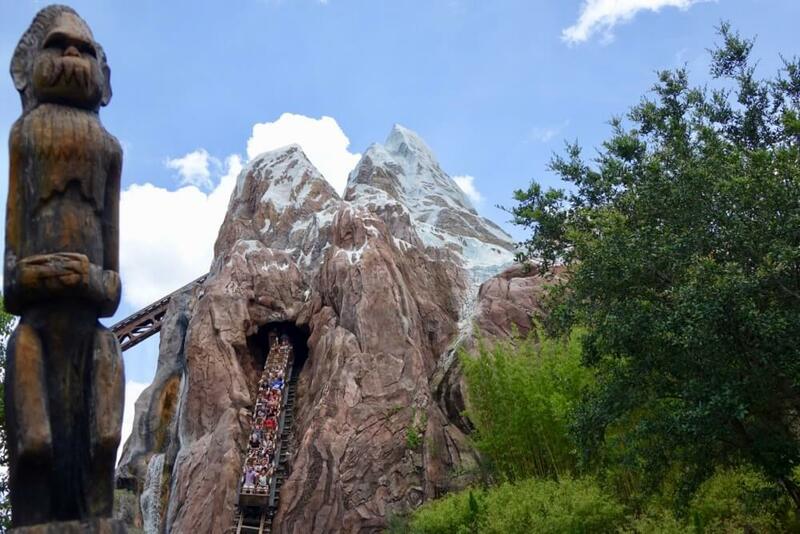 There sure are Extra Magic Hours for Animal Kingdom this month! For the full schedule, hop on over to our Crowd Calendar. What size is too big for Pandira flying ride? I'm overweight and saw that someone was worried they would not be able to ride. I've never had trouble on a Disney ride, is this true? 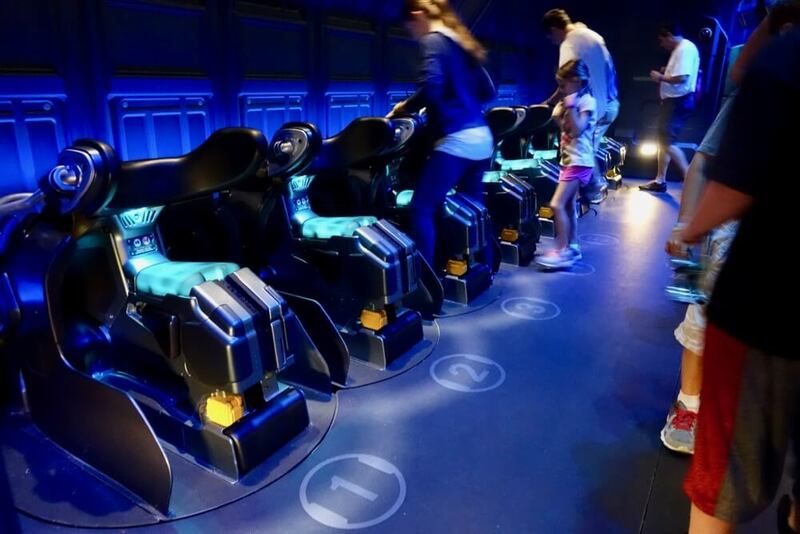 There is not a specific weight limit for Flight of Passage, but guests must be able to fit comfortably in the seat for safety purposes. Luckily, there is a test seat outside of the ride and a cast member to offer guidance on whether or not the ride would work for you. Would you guys know if pandora lets u do a que tour when ur not riding without having to be on line? We don't think there is a queue tour. Check with one of the ACE Team Members at Flight of Passage to see if they can accommodate you. We will be visiting Pandora for the 1st time on Thursday June 22nd. We were fortunate to get fastpasses for the River ride. We plan to arrive at rope drop and wait on stand by for Flight of passage. My husband is a bigger body type. He may not be able to ride but we are keeping our fingers crossed. We are off property but we hope to see as much as possible. Are there any single rider lines for either of the Pandora rides? As of now, there are not. First of all, you have the best website outside the official WDW website!! What is the quickest way to walk from park entrance to Pandora (Navi River Journey)? From the map, looks like it's a long walk from park entrance to pandora, then to dinoland (following your park plan). To get to Pandora, make a left inside Discovery Island, right in front of the Tree of Life. The entrance to Pandora will be on the left a ways.